To maintain structural rigidity and create a powerful visual impression, some car manufacturers have have gotten creative with passenger ingress and egress. 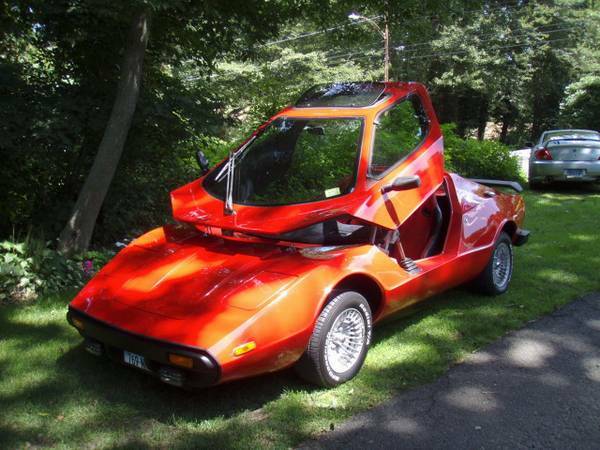 The Delorean, Lamborghini Diablo, BMW Z1 and Toyota Sera are all cars known for their unconventional doors, but one of the more exotic designs can be found in the Sebring kit car. Find this 1999 Bremen Motorsports Sebring for sale in Fairfield, NY for $7,200 via craigslist. 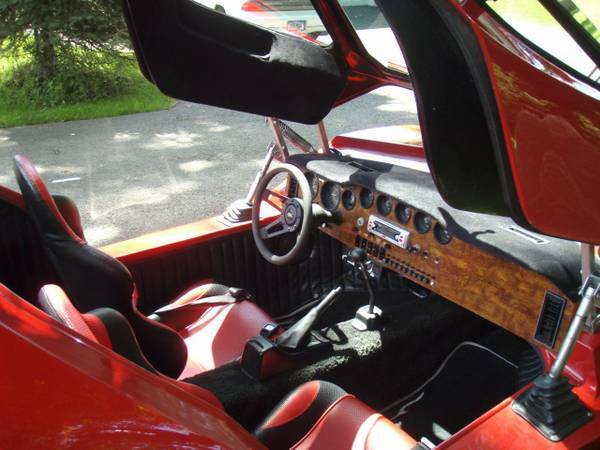 Instead of opening your car in some boring way, like opening a fridge, you get into this one like you are, um, taking the top off a Jack-O'-Lantern. Hey, if you are going to go to the trouble of building your own car, it might as well be one that can do a cool trick, right? The Sterling/Sebring design has been around for decades and remains in production. Its futuristic body still looks exotic today and the clamshell top is sure to grab attention wherever it goes. Let's face it, you don't buy or build one of these if you are trying to blend in. Get ready to meet new people. We are happy to see that this kit, while Karmann Ghia based, is powered by a Chevy V6 and not another VW air-cooled 4. While you won't be throwing any lightning bolts at Porsche Caymans in this car, at least a tweeting flat four won't be audibly reminding you and everyone else of this car's humble underpinnings. You can be humble some other time. What the hell DT the best picture of the motor with the gallon jug of oil next to it PRICELESS. There are videos on youtube of guys driving down the street with the top OPEN. Kinda like a guy who has to show you his underwear with red hearts on it, because you might miss it. 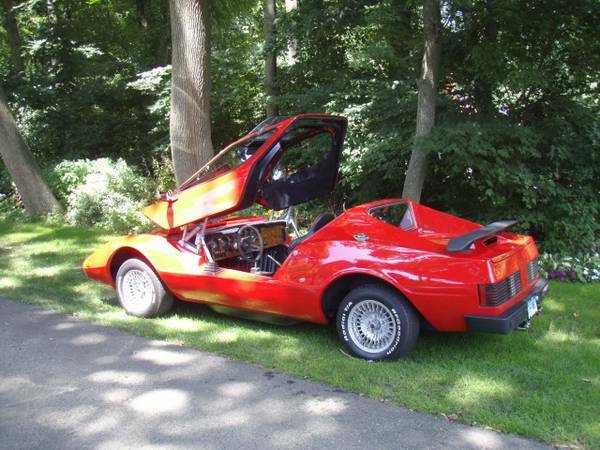 Yes, it's a kit car. So you're putting your life into the hands of the guy who built it. The outfit doing these things now was doing a pretty interesting tube frame for a mid-engined Scooby-blatting powertrain. 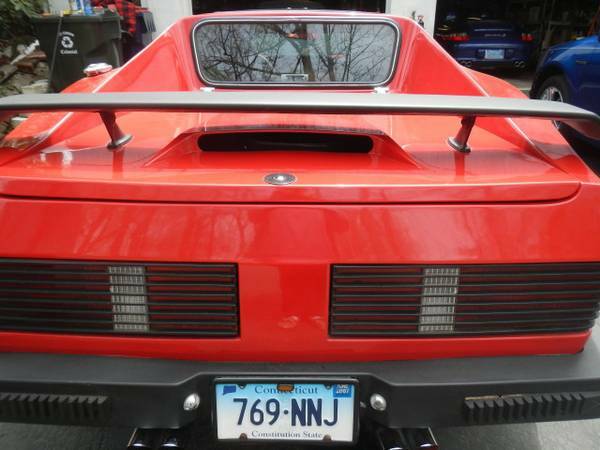 I'd drive a VW with a VW pan, but not much interested in a kit car with a VW pan underneath.